Luca Iemi from HSE University, jointly with Niko A Busch from Westfälische Wilhelms- Universität, have found that the state of excitability of the brain — indexed byspontaneous neural oscillations – biases a person's subjective perceptual experience, rather than their decision-making strategy. The findings will be published in eNeuro under the title 'Moment-to-moment fluctuations in neuronal excitability bias subjective perception rather than decision-making'. <p>Imagine sitting in a dark room and a light flashes in front of you. Do you see it? If the light is bright enough, of course, you see it. But what happens when the brightness of the light decreases? At some stage, you are no longer able to see the light. Surprisingly, experiments in psychology have demonstrated that this transition from 'seeing' to 'not seeing' is not abrupt. If we are exposed to flashes of light of very low brightness, sometimes we will see the flash and sometimes we won't. Furthermore, participants in such experiments occasionally report seeing a flash of light, even when there was none. Why do these inconsistencies exist? Why does our perception occasionally fail to match reality? 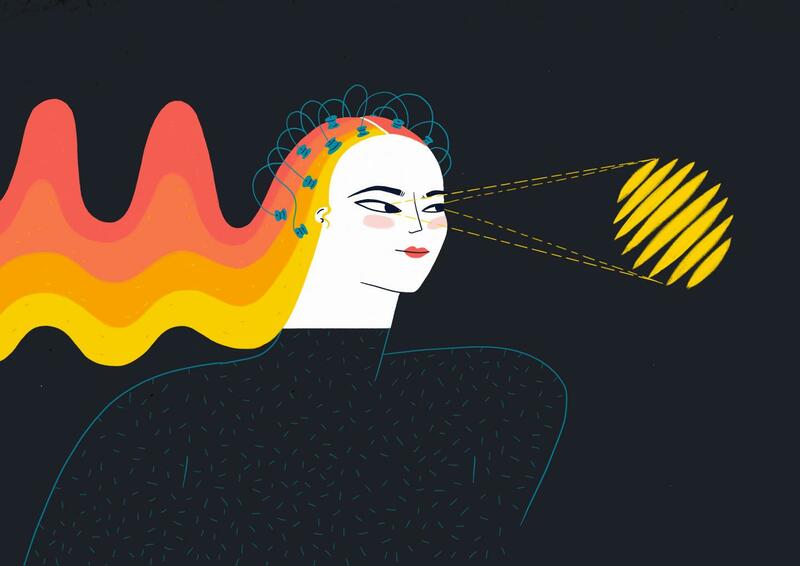 Research carried out at HSE's Centre for Cognition & Decision Making and the Berlin School of Mind and Brain aims to understand the brain states that predispose us to correct perceptions of light, as well as to false perceptions of light. This is what the researchers refer to as 'subjective perception'. That is, the perceptual experience from the point of view of the observer, which may not necessarily match the external, objective reality (for example, seeing a flash of light when there is none). The study by Iemi and Busch suggests that subjective perception is influenced by activity occurring spontaneously in the brain. In fact, even when we have our eyes closed or when we are sitting in a darkened room, our brain is still operating. In a previous experiment, participants were placed in a dark room and scientists measured these spontaneous fluctuations in brain activity using electroencephalography (EEG). At certain random intervals, participants were asked to report whether they had seen a flash of light (the stimulus) or not. Some intervals did have a flash of light and others did not. By measuring the oscillations in the participant's brain, scientists found that, in moments of heightened neural activity (indicated by weak neural oscillations), the participant was more likely to say that they had seen the stimulus, regardless of whether there had been a stimulus or not. This work has already been published in the Journal of Neuroscience. Furthermore, the study showed that states of high excitability made participants more likely to incorrectly report seeing the stimulus when it was absent. 'Previously, it was thought that excitability improved perceptual precision/ability: that is, the higher the excitability, the better you can see the stimulus. This research shows that this is not the case, because, in states of high excitability, a person is also more likely to incorrectly detect a stimulus that is not present,' commented Luca Iemi. Why does this happen? The findings of the new study in eNeuro demonstrate that increased neural activity predisposes a person to report the presence of a stimulus, that is, it creates what scientists refer to as a 'liberal detection bias'. However, this finding begs the following question: In moments when our brain is extremely active, do we simply prefer to say 'yes, I saw the stimulus'- that is, is there a strategic tendency to say 'yes'? This is what scientists refer to as 'decision bias'. Or, does this increased neural activity elicit an actual perceptual experience – that is, a sort of 'hallucination' of seeing a light when there is none? This is referred to as a 'perceptual bias'. The results of this study point toward the latter interpretation. This research addresses the fundamental question of how the momentary internal state of a neural system interacts with input from the external world. It is therefore a valuable contribution to our understanding of how brain activity shapes our conscious perception. There are many devices are currently available on the market, such as wearable technologies, which monitor spontaneous neural oscillations. However, as Luca Iemi points out, we are only at the beginning of understanding what these brain states mean and, furthermore, how to use this information.